Notes related to scripting/programming techniques and code snippets (python, awk, sed, go, powershell …) will be published here. Reading ServersCheck Status page from command line – Part 2. 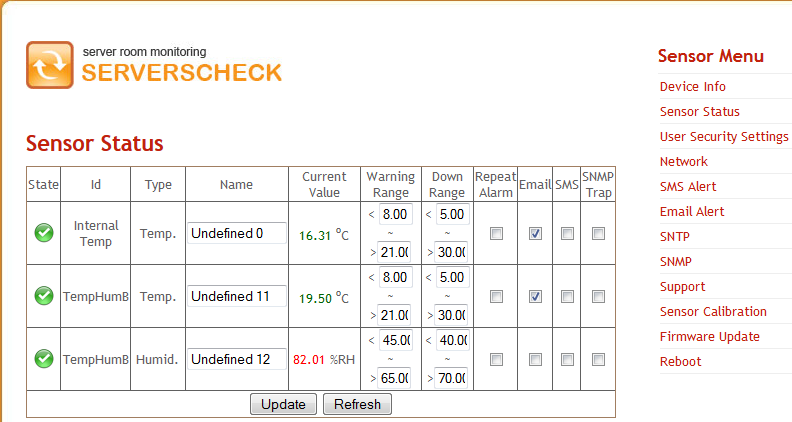 In the Part 1. of the article I showed command line tool written with Google Go that reads current values from ServersCheck temperature and humidity sensor. In part 2 of the article I’ll show you how I did the same with PowerShell 3.0 script. In a way this script is more sophisticated than the golang variant. 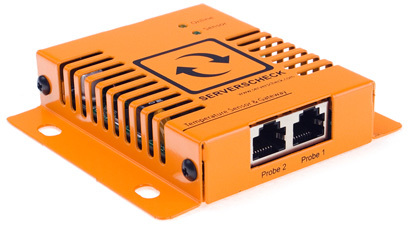 First because of the way how password for ServersCheck is handled, instead of security by obscurity I’m asking user once for a password, then storing password encrypted with a combination of his/her computer private key + user session key in a local file vpctemp-pwd.txt. Not bullet proof but nevertheless a big improvement from golang version of the script. Second, the way I parse xml in powershell is simplified, thanks to select-xml cmdlet built in powershell 3.0. 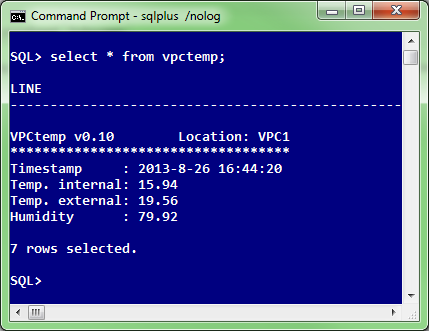 Write-Host "VPCtemp $version        Location: VPC1"
Write-Host "Temp. 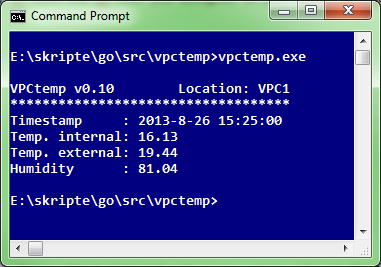 external:", $temp2. "#text" -foregroundcolor "yellow" -backgroundcolor "red"
In the final, part 3 of the article I’ll show you how we’re using Oracle external table “preprocessor” feature to display data center temperature and humidity with simple SQL statement. Comments Off on Reading ServersCheck Status page from command line – Part 2. This note is a variation of note that talks about compiling cx_Oracle module for python 3.2 (64-bit), but this time around I wanted to try out pycrypto module v2.4.1 that supports python 3. Let me say that I first tried to build pycrypto with MinGW using TLDR experimental installation package for Windows x64. Making long story short, it was a bummer (I hit several errors that I didn’t know how to resolve), I didn’t even try if 32-bit module could be compiled with MinGW. Anyway, I believe sticking with VC 2008 and bulky SDK (over 5GB of installed SW!) is inevitable, at least for me. Here’re the steps that I followed…. My target platform for the pycrypto build was Windows 7 Professional x64 (SP1) with 64-bit python 3.2.2.
to build python 3.2. Note that I installed default components of Visual Studio 2008 in default location. and install Windows SDK for Windows 7 and .NET 3.5 SP1. Again, don’t be tempted to install newer Windows SDK for Windows 7 and .NET 4, it must be older SDK (released in 2009). I left all installation options at default. %comspec% /k ""C:\Program Files (x86)\Microsoft Visual Studio 9.0\VC\bin\vcvars64.bat""
Here is a code snippet that I wrote recently for IronPython, correcting some registry information that I put by mistake in our image that is used for cloning client PC’s. 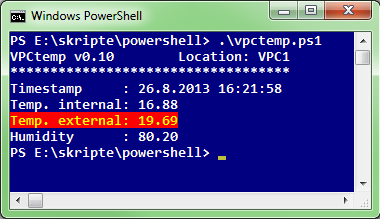 I’m sure PowerShell script would be even shorter and cleaner, but I had to come with some working code in a hurry. __about__= "IronPython script // odbc_patch2.py by AlesK"
# How to enumerate a node from ODBC.INI. # etc., but not for Oracle supplied driver! # How to read and change value in registry. # SERVER = ORAXMS I really want SERVER = ORAX, striping off MS.
# Candidates in my case are: ORAXMS, ORAYMS, ORAZMS.